Officers have recovered a haul of cannabis at a commercial property in Linlithgow with a street value of £123,000. 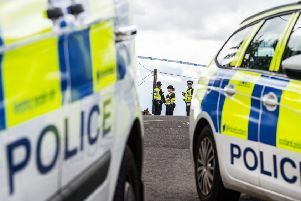 A 29-year-old man has been charged in connection with the incident after Police Scotland claimed that almost 13kg of the drug was seized during a search of a commercial property at Mill Road Industrial Estate, Linlithgow, on Wednesday. Mateusz Cieslak, 29, from Livingston, West Lothian, appeared on petition in court yesterday (Thursday). He was charged with being connected in the supply of controlled drugs and importing prohibited goods. He made no plea or declaration and was released on bail pending further inquiries.